Dimensions: total height 80cm, seat height 44cm, depth 51cm, width 53cm, weight 6kg. 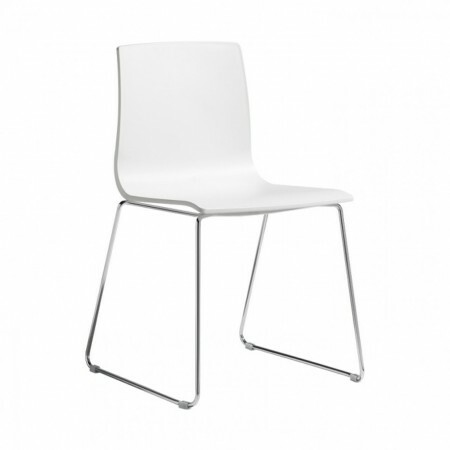 Alice with frame to sledge, is an elegant chair suitable for indoor use. Perfect in any type of surroundings, it stands out by personal design. Extremely comfortable, it's a product by sought forms soft and elegant. A chair from the refined look, able to fit perfectly into every setting, by transforming the places with a touch of refinement. Ideal both in the domestic sphere than in contract projects. His technopolymer main body, available in several hues, make it the perfect chair to furnish with class your indoor environments. 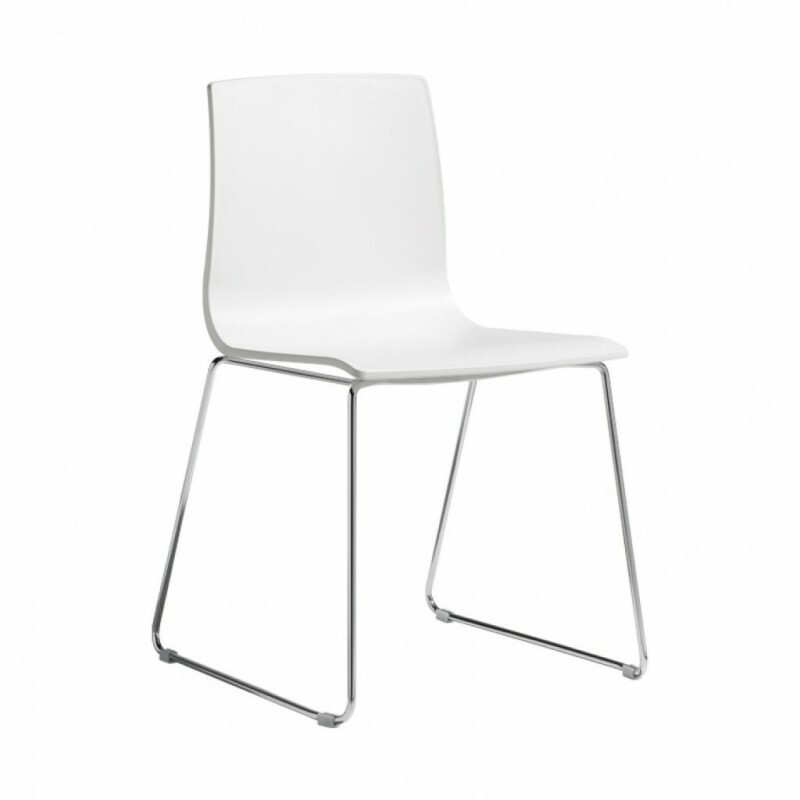 The contrast between the opaque front and the glossy rear, combined with the characteristic ergonomic line, represent the peculiarities of this chair. Composed of structure in technopolymer and frame in steel rod from 11mm chromed, stackable.